Terrai Liquid Soaps not only give you soft and pleasant smelling hands, they also help provide complete hygiene to the entire family. They can help protect against viruses that occur due to infections carried through the hands. The products are designed for everyday use by all family members. Iced Coffee - invigorating scents of our signature coffee aromas that will help make you feel refreshed and awakened. 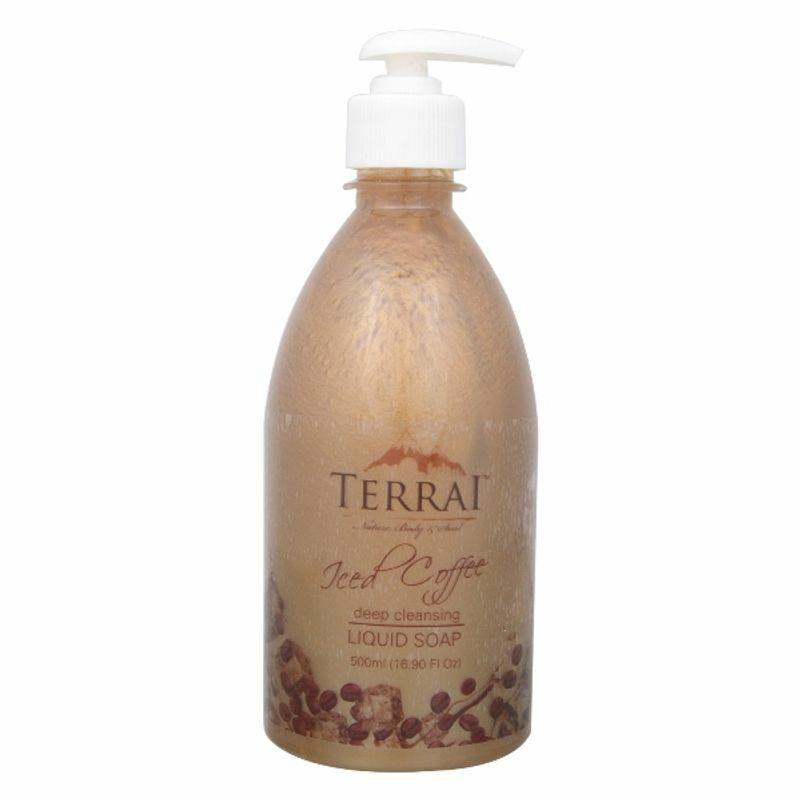 Enjoy smooth and creamy foam with a hint of iced coffee in our liquid soap. It helps nourish and moisturize the skin, leaving your skin feeling softer than ever.